Dr Zimper is welcomed to Macleay by Head of Faculty, Ian Thomson and Dean, Bob Robertson. 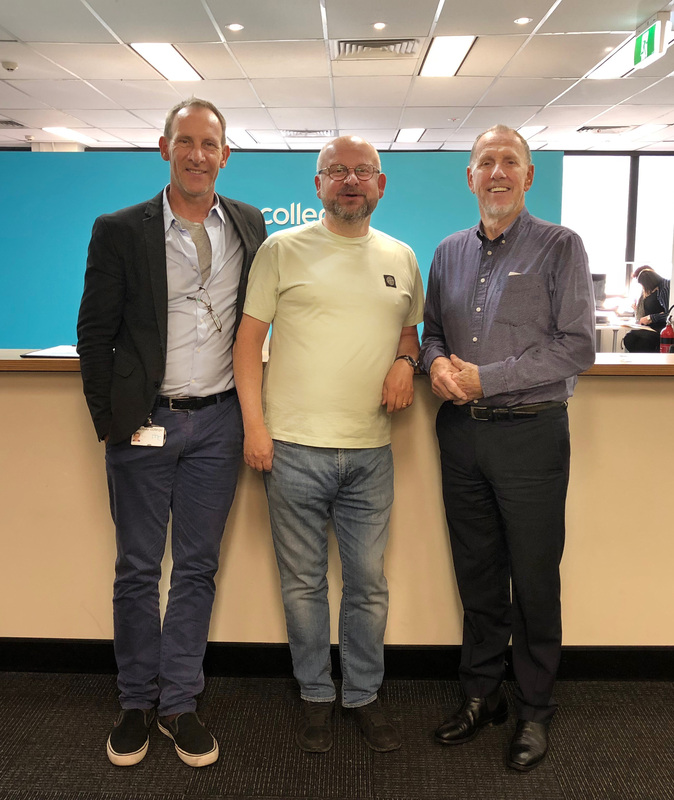 Great to have Dr Martin Zimper from the University of the Arts in Zurich at Macleay College. Martin was the international course consultant for the successful development and accreditation of Macleay’s Bachelor of Digital Media, which will be rolling out new specialisation streams in Content Writing, User Experience Design, Coding & Analytics and Digital Entrepreneurship in addition to the Digital Marketing and Content Creation streams from 2019. Macleay’s Advertising & Digital Media faculty has welcomed three new industry experts to its teaching staff as part of its commitment to industry-focused learning. 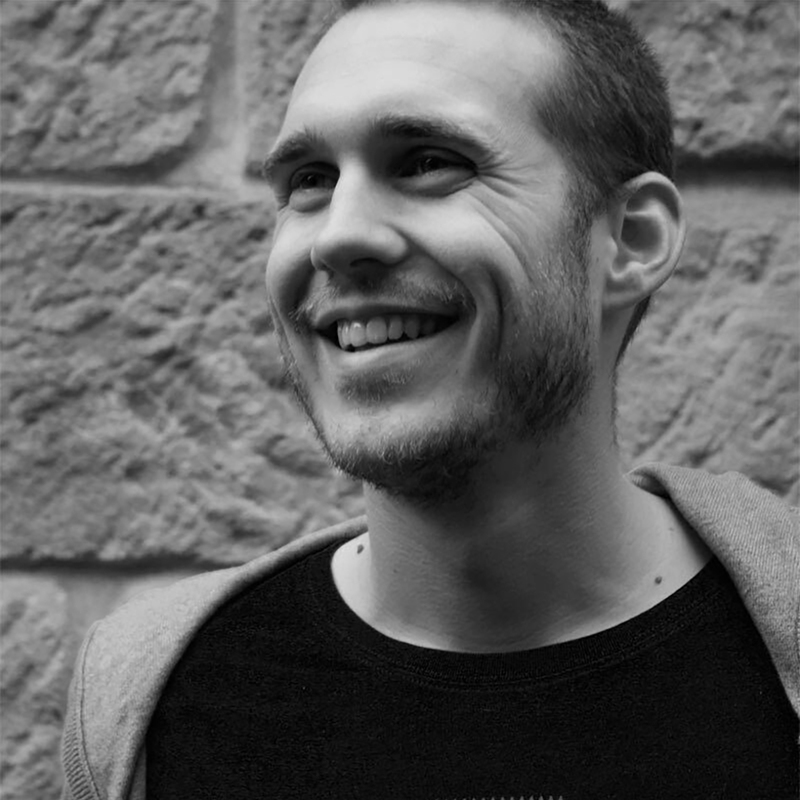 Beck Hamilton is media director at Bohemia Group, one of Australia’s most innovative media agencies. Beck has a passion for getting to the heart of communications strategy and working with all elements of media, in particular with performance digital channels, the latest technology and trading systems. After her previous roles as director of marketing, sales and publicity at Disney Australia and as senior strategist at Slingshot Media, Beck will be teaching final year bachelor students STRATEGIC MEDIA PLANNING. A Macleay graduate herself, Beck will be able to offer Macleay’s advertising and media students personal and practical insights for launching their careers in the media sector. Toby Vervaart has developed the new CODING and APP DEVELOPMENT units for Macleay’s advertising and digital media courses. With increasing demand for graduates with expertise in these areas, Toby’s experience as technical director at The Monkeys (voted Australia’s Ad Agency of the year now for 2 years running) will be invaluable for Macleay’s students wanting to build their knowledge and skills in the creative application of technology. Toby strongly believes in the web as a platform for expression and creativity and enjoys learning and teaching new ways for this to be achieved through emerging technologies. Macleay’s students are lucky to have Toby guiding their way through the labyrinth of coding languages and App development. Lorena Chiarella is partnerships director at UM Worldwide. 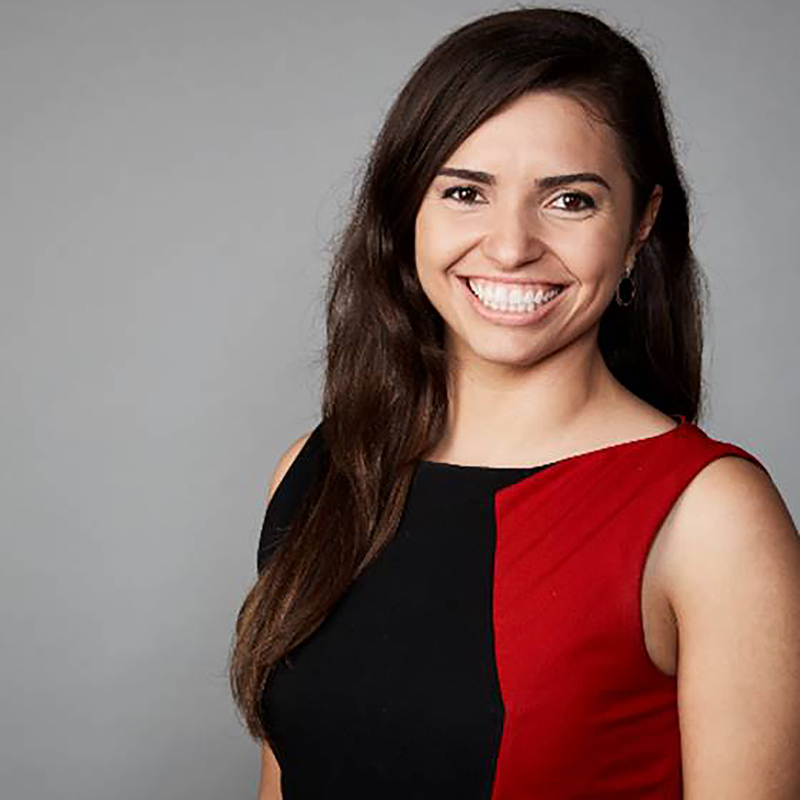 Lorena prides herself on her ability to manage, coach and build strong team identities. 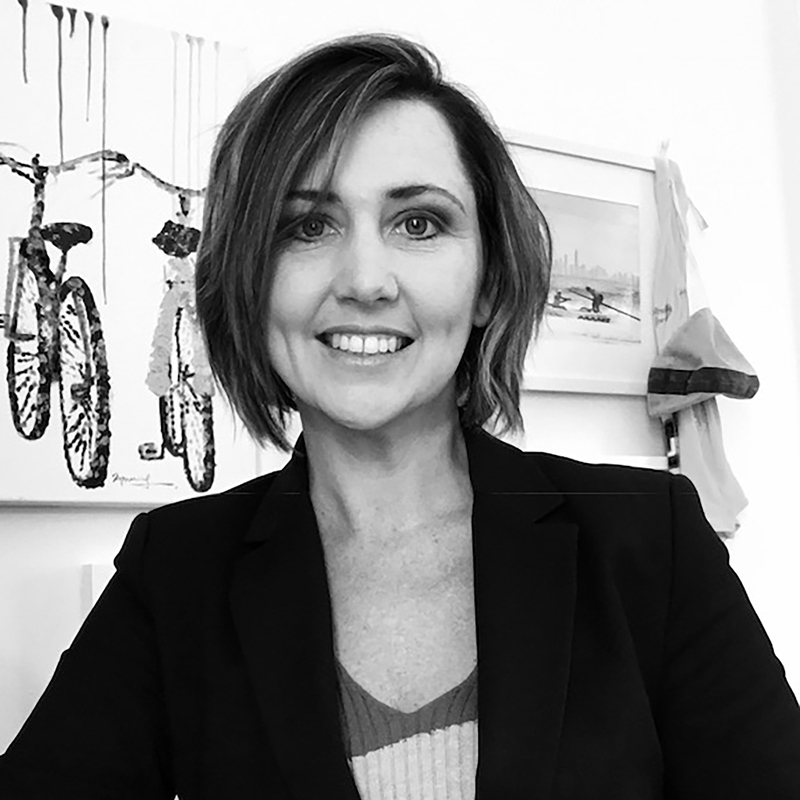 Previously at GroupM, IPG Mediabrands and a manager at Maxus, Macleay is excited to have Lorena bring her enigmatic personality to teaching the MEDIA LANDSCAPE unit to advertising and media students. A few opening words from Lorena herself “I’m genuinely excited for the opportunity to introduce Macleay’s students to the world of media and share exciting work from the industry to help foster their passion in advertising”. A number of Macleay graduates have started their careers in media with UM, and we’re sure Lorena will entice a few more to make the move into media. Macleay’s students benefit from our innovation and industry-focused approach to education through teaching from expert professionals, project-based learning and popular internship program. Rated one of Australia’s leading higher education providers for student experience and teaching quality (Government QILT survey: 2016 & 2017), Macleay College produces graduates who are industry ready and primed for success. For more information about Macleay’s advertising and digital media courses, click here. “A visual metaphor is a device for encouraging insights, a tool to think with” states Noël Carroll in his book Beyond Aesthetics. Looking around at some of the world’s greatest ads, there is little doubt that one of the most powerful ways advertising communicates a message is through visual metaphors. It is an art in itself. To strip down an idea to its essence, then represent this through a powerful and visually engaging metaphor, making it easier to communicate the message to an audience. Our Advertising and Digital Media students produce an original photographic visual metaphor in our Digital Photography classes. The first challenge of taking a great photo is coming up with a great idea. In this assignment, students nominate a client, product or service and develop a photographic ad to solve a specific communications problem. After a series of lessons in digital, studio and lifestyle photography, students take an original photo and retouch and composite it with a headline, typography and a brand logo. “The first step is to nut out the core message, then sketch out visual solutions. Taking the photo is where the executional expertise comes in” says Digital Photography lecturer Simon Cardwell. Simon runs the Digital Photography unit at our Sydney campus. In addition to being an accomplished fine arts and portrait photographer himself, Simon embodies Macleay’s principles of delivering student and industry focused education with industry expert teachers, project-based learning and a hands-on approach to learning. Advertising student Ray Phan (now working as a Designer at We Are Social) wanted to surprise his audience. His visual solution for Kinder Surprise – a chocolate egg with a hidden toy, was to remind us that eggs have long hidden unexpected hatchlings. International student Carlos Alcantara (now working at Magna Global) approached his casual employer Des Renford Leisure Centre and offered to create an ad to help clients get their ‘muffin top’ into shape. Recent Bachelor of Advertising and Media graduate Sophie Robertson created a soft and beautiful image of firm, round peaches to discreetly create awareness around screening for breast cancer. After taking time-out of her creative career to start a family, art director Helen Metlenko wanted to up-date her digital skills, and in the meantime, found out she was a pretty keen copywriter. Her visual ad for Patrick’s Barbers was pitched specifically at their male clientele. Sam Harley (most recently Junior Creative at Host) topped the Diploma of Advertising course, and also came up with this crafty visual solution for the craft beer bar next door to the college. Callam Hanks always had a creative ‘outside-of-the-box’ idea for his assignments. This was a very unexpected solution to the visual metaphor assignment, comparing the cost of a new car to the cost of raising a child. The ad was specifically aimed at getting teens to rethink their choices around unwanted teen pregnancy. No need to say Callam has gone on to create some innovative and out-there solutions in his new job as Social and Content Manager at Infinity Squared. If you would like to know more about the Digital Photography classes, part of our Advertising & Media or Digital Media courses read on. When Rowan Slade started his studies, he was a self-confessed “guy from a beachie town who made cappuccinos”. This might sound familiar. Finishing school and moving into a career can often be daunting, but after a couple of years of study Rowan discovered the art of becoming an Art Director. 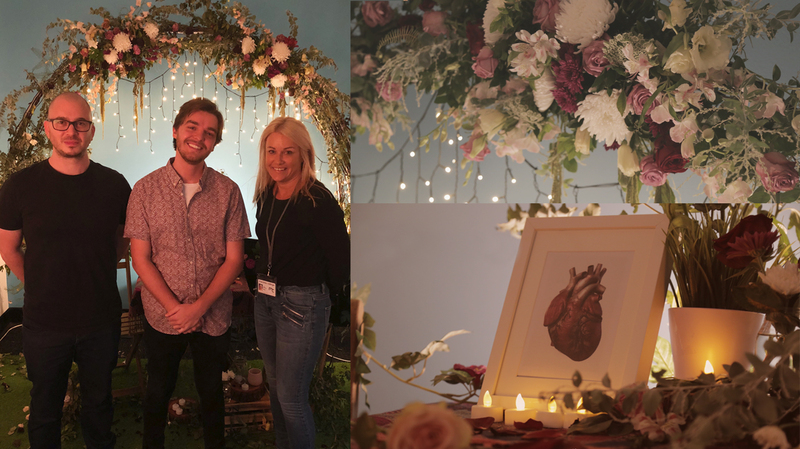 Proof of his artistic talent was on display recently with his graduating project from Macleay’s Bachelor of Advertising and Media, where Rowan created an art installation that explored the tension between the fantasy and brutality of Reality TV. Rowan has a keen eye and a great sense of style, so even his early college projects stood out. One of my favourites was a brand he developed from scratch (excuse the pun), for a real-world client in his Advanced Digital Design class. 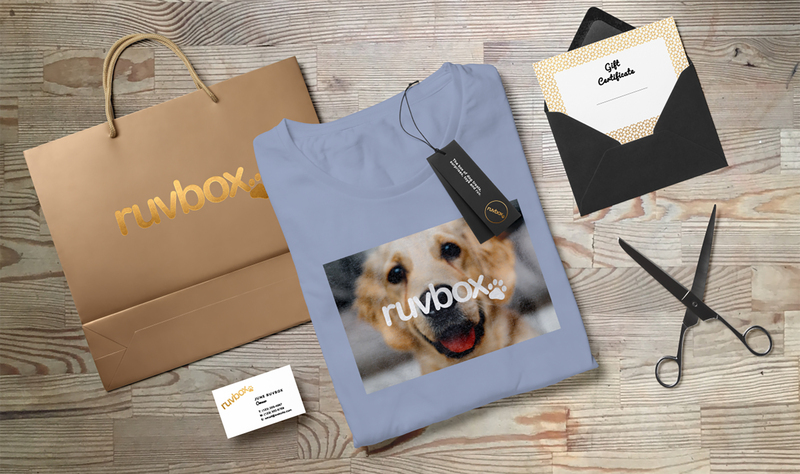 ‘RuvBox’ is a pet care pack that Rowan developed a logo, packaging, magazine advertising and merchandising for. Once Rowan got a video camera in his hand, he started producing some fun and quirky video content, like this engaging digital content piece with Sophie Robertson visualising the word ‘Joy’ in their Art Direction and Design class. It was of course a highlight of Rowan’s time at the college to see him create a visual installation exploring his ideas around Reality TV. It was an ambitious project to take over a whole room; design and build a floral installation; contrast this with a broken television and image of a bleeding heart; and invite people to sit in the installation and share their selfies on Instagram. Both Adam Ross, executive creative director at the projects* and the marketing consultant Louise Chamberlain, who sat on the industry marking panel commended Rowan’s courage and ambition in creating an immersive and interactive installation. The next challenge for Rowan is to make his creative mark on the advertising industry. Stay tuned. Rowan presenting his major art directing project to Adam Ross and Louise Chamberlain. Instagram reactions to Rowan’s installation. Featured image of Rowan Slade and fellow Advertising & Media student Grace Cooper by Alana Taylor-Benn. Macleay College offers diploma and bachelor courses in Advertising & Media in the campus in both Sydney and Melbourne. For more information click this link.